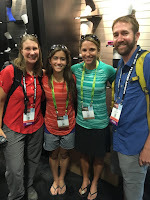 J & I spent Wednesday through Saturday in Salt Lake City at the Outdoor Retailer Summer Show. 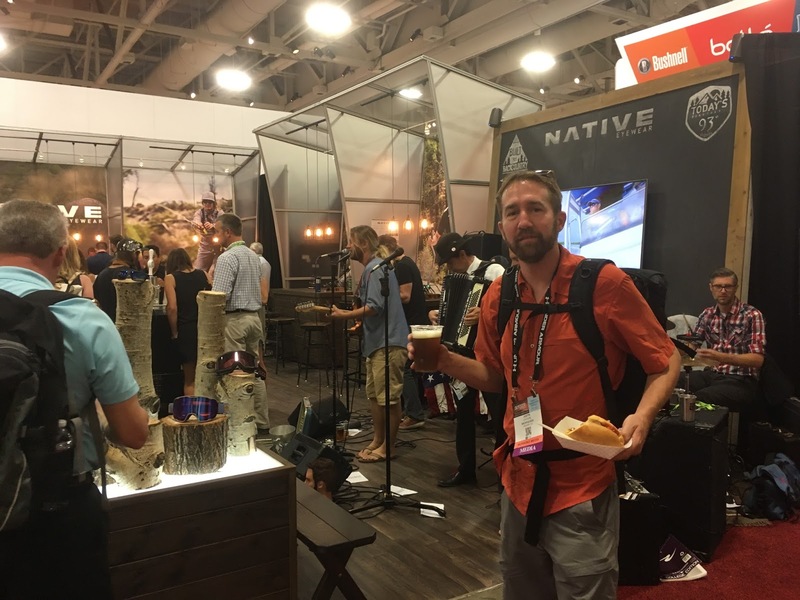 I mentioned this already, but this is the largest trade show for outdoor brands to showcase their newest products, geared toward every outdoor enthusiast, from backpackers to rock climbers to paddlers to much more, of the spring/summer 2017. For gear junkies like J & I, this is our version of Candyland. 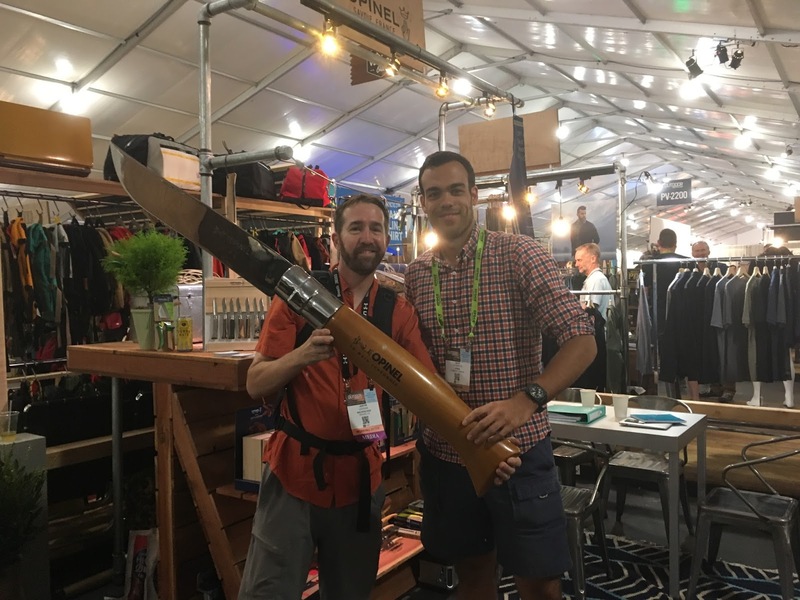 We went on behalf of Backpacker Magazine, who is there of course scoping out all the goods for consideration for testing to write about in the magazine. 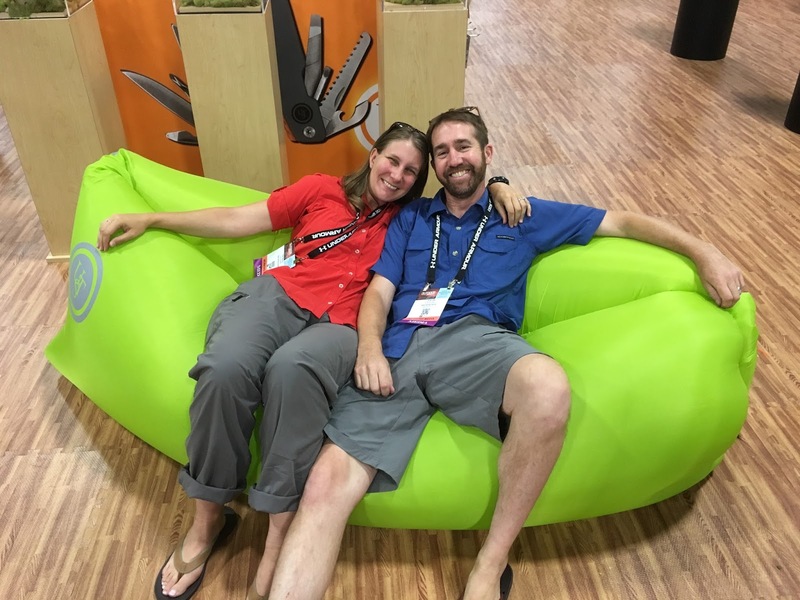 There are category managers in charge of big items like tents and sleeping bags, but the gear editor put us on task to find smaller things, specifically knives, kid's products, food and weird stuff. Two products that we saw that fell into the "weird" category, for example, had to do with underwear. For women's underwear, there was a pair with a front-opening (for easy peeing in the backcountry) and for men's underwear, there was a "support system" built in for the boys. Innovative to say the least. Besides gear, there are some big athletes that attend. 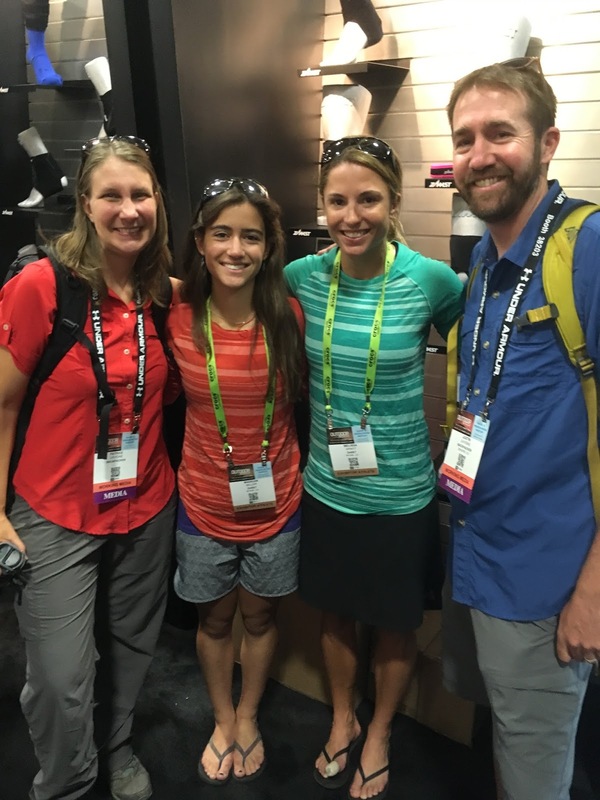 This time around, we got to meet mountaineer and adventurer Melissa Arnot. Melissa has been a huge inspiration for both J & I. This year, she became the first woman to successfully climb (and descend) Everest without oxygen and is about to crush the "50 peaks in 50 days" challenge with a young gal she is mentoring. Thanks to all 500,000+ square feet of the Salt Palace Convention Center, we probably walked 7-10 miles a day!!! 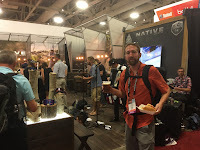 But the walking is balanced by all the daily happy hours that start at 4:30pm on the floor of the convention. Not just beer either. Live music. Food. My favorite was Superfeet's happy hour with lemonade vodka drinks!! 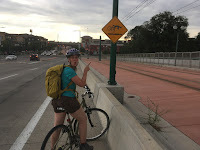 To make our trip more affordable, we stayed in "The Wanderer" (our van) at the Salt Lake City KOA Campground and biked the 2.5 miles to and from the convention center. We are not established campground people, but figured we needed AC during the heatwave and showers to look presentable. 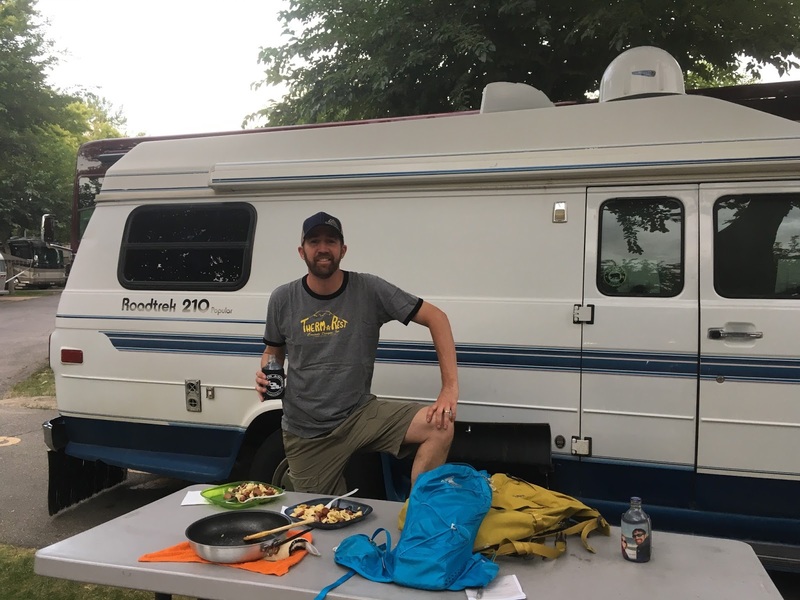 The KOA far exceeded our expectations! This was the first time hooking up The Wanderer's bits and pieces, and as anticipated, there were problems. We turned on the water and immediately sprouted leaks in 3 spots. Ho hum. Luckily, we had a very friendly RV neighbor with a wealth of motor home experience. We'll just add it to the yellow legal pad of "things to fix." OR was also a great opportunity for us to get face time (not FaceTime) with almost all our brand partners to discuss our current and future ambassadorships. We also met new potentials. 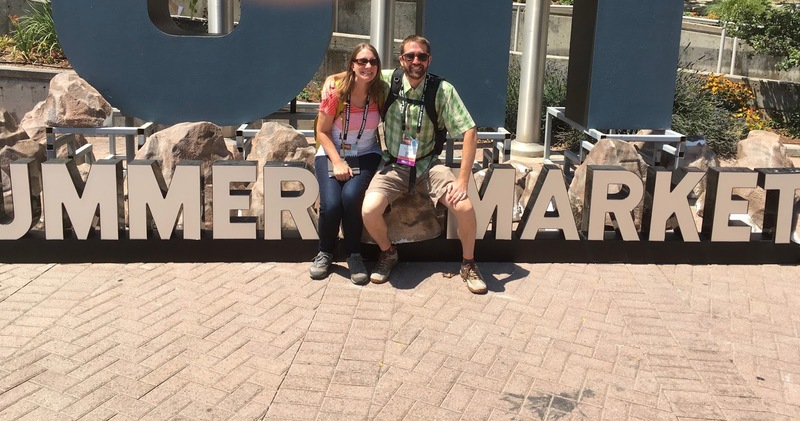 This was our second time attending OR and it did not disappoint again. I don't know about other trade shows, but OR is freakin fun. 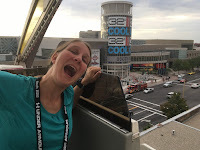 There are happy hours every day and ferris wheels and Yetis. Don't deny that it is work though. All that walking and talking exhausted us every day. Now we are off to the backcountry for a few days!